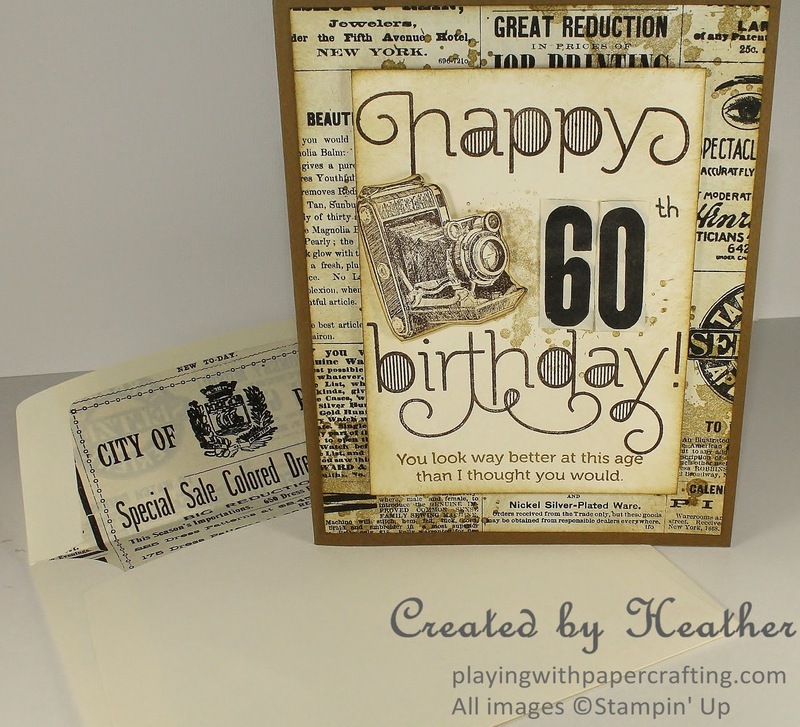 Playing with Papercrafting: Happy Age Awareness Day! 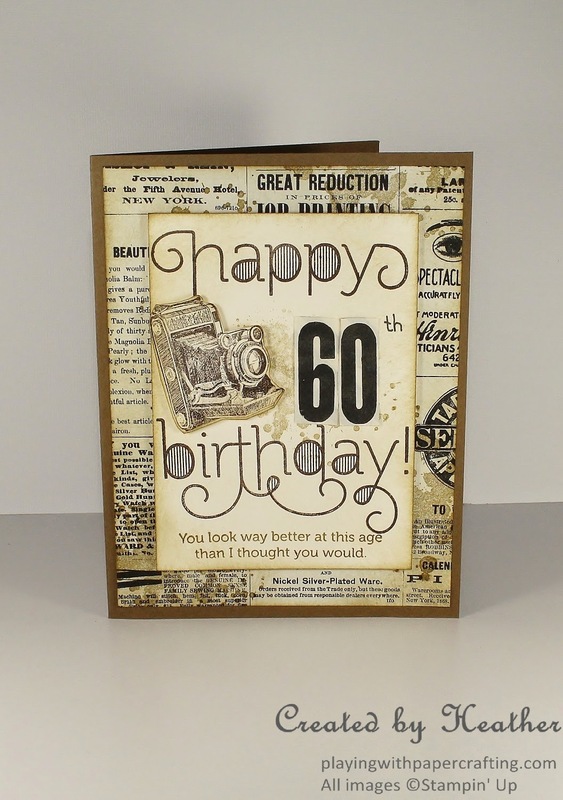 There's nothing like turning sixty to make you aware of age and aging! Forty is the new thirty, not even middle-aged! By fifty you have to admit middle-age, but you still have a decade of lots of energy and the benefits of having reached a time in life where you usually have more resources and fewer dependents! But when you hit sixty, you have no choice but to view your mortality squarely in the face! Happy Age Awareness Day! 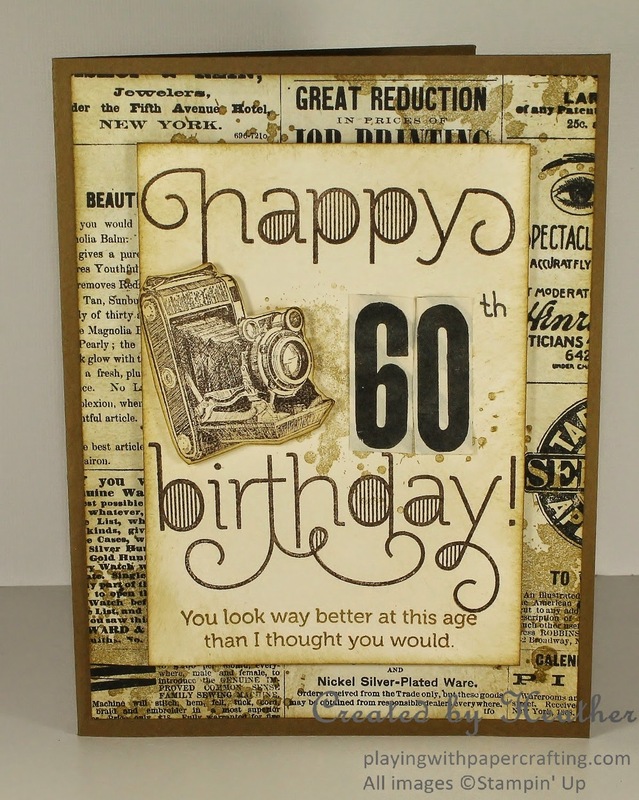 One of our best friends recently turned sixty and I wanted to come up with a masculine card that added a little light humour to the situation! As I looked through my stamp sets, I settled on the Age Awareness set and the Traveler set. I got out my Typeset Specialty Designer Series Paper. I love the script on the happy birthday stamps and I absolutely L.O.V.E. the photopolymer stamps! It's so easy to get them straight and positioned right where you want them. I'm not sure why I was reluctant before, but I think it was because all the first sets we got had stamps that were tiny and I never know what to do with those babies! I am now a total convert though! Bring on more of them! 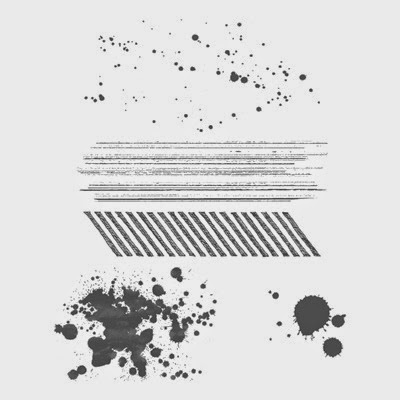 I grunged up the Typeset paper with the splotch from Gorgeous Grunge. (That's as opposed to the splatter and the drip! You know what I mean, right?) And I used Soft Suede ink for that job, as well as sponging edges. The happy birthday was stamped in Early Espresso. Where do you suppose that big 60 came from? Did you guess one of the Typeset paper designs? Well, you are right. I cut them right out of that sucker and added the 'th' with one of the Project Life Journaling pens. Kind of makes it look like a ransom note doesn't it? Don't you love that sentiment? I chuckled as I stamped it in Soft Suede ink. The humour was not lost on our friend who has a slightly sarcastic sense of fun! 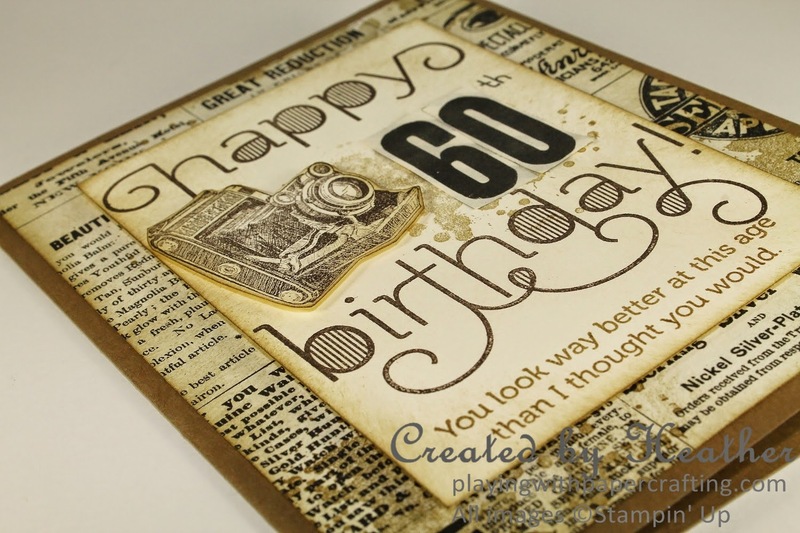 The camera image from the Traveler stamp set was stamped in Early Espresso and fussy cut before adding it to the card using Stampin' Dimensionals. The front panel was also popped up with Dimensionals. To add a finishing touch, the envelope was lined with the same specialty DSP, using the Envelope Liners Framelits. Thanks so much for dropping by today! 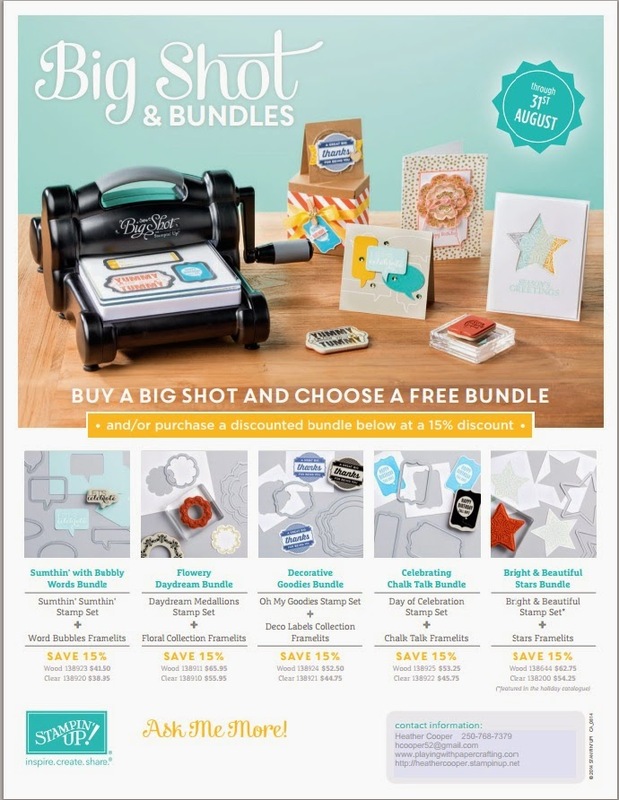 Just a reminder about our Big Shot Promotion this month. It's good through August 31st. Don't have a Big Shot yet? Maybe this is the time to get one! Already have one? Get an amazing bundle at 15% off!